The dedicated volunteers at the Yizkor Book Project at JewishGen were busy in April. See below for the complete list of additions, new projects, updates and more. Four new Translation Fund Projects have been organized for Debica and Grajewo (Poland), Leova (Romania) and Olkeniki (Lithuania). These projects collect funds to hire professional translators so these books can be made accessible online. Readers with roots in these geographical locations (and others) are invited to contribute to the Translation Fund. See all additions and updates flagged here. JGSLA 2010: New programs, classes, workshops! In addition to lectures, JGSLA 2010 will offer programs on maps, roots travel, films and filmmakers, classes and crafts. “This year in LA” is the 2010 mantra for Jewish genealogists around the world. Don’t miss the early registration discount for the 30th IAJGS International Conference on Jewish Genealogy, July 11-16, in Los Angeles. Discounts end April 30, don’t miss out. 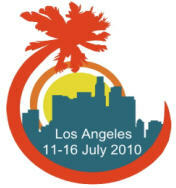 Go to JGSLA 2010 and register today. Two fascinating speakers have been added to the program, and see further down for even more additions to the program. USC Shoah Foundation Institute executive director Dr. Stephen Smith will speak on Wednesday evening, July 14. He was founding director of The UK Holocaust Centre, the UK’s first dedicated Holocaust memorial and education center. For this work, he was named a Member of the Order of the British Empire (M.B.E.). Additionally, Smith co-founded the Aegis Trust, withe the goal of prevention of crimes against humanity and genocide. 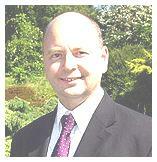 He chairs the Holocaust Memorial Day Trust, which organizes the UK national Holocaust commemoration. A dynamic speaker, he is dedicated to bringing the Shoah Foundation’s survivor testimonies into the 21st century by making them accessible to a worldwide audience. His talk will address this topic. The conference resource room will offer streaming Shoah Foundation survivor testimonies daily during the conference, beginning on Sunday, July 11, at 10am. 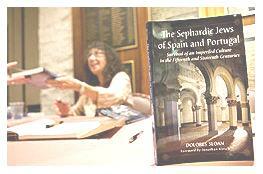 Professor Delores Sloane will discuss her new book, “The Sephardic Jews of Spain and Portugal: Survival of an Imperiled Culture in the Fifteenth and Sixteenth Centuries,” a storyteller’s account of what happened to the expelled Iberian Jews who built new lives in exile after leaving what had been their home for 1,500 years. Sloan believes that history is best understood through the experiences of those who lived it. In 1996, she traveled through Spain and Portugal for five weeks, by train, bus and by foot, looking for footprints left by the remarkable Jews who had created a golden age of learning and discovery. Her new book offers a compelling portrait of Sephardic Jews, who created a Golden Age on the Iberian Peninsula under Moslem rule for nearly seven centuries, and continued to advance science, medicine, political economy, government and the arts under Christian rule that followed. See the link above for more information. Ukraine and Galicia are on the menu with the famous Brian Lenius speaking on cadastral maps and landowner records; Alexander Dunai (from Lviv) on maps in the Ternopil (Tarnopol) archives; and Alexander Denysenko (from Lviv), on roots travel. Dunai and Seattle’s Sol Sylvan will present how you can plan the trip of a lifetime. Other experts will be able to discuss roots travel to Hungary, Slovakia, Romania, Latvia and Lithuania. Filmmaker, researcher and travel planner Michael Masterovoy of Moscow is flying in to speak at the Belarus SIG luncheon (don’t forget to sign up for this added event!). He’ll speak about his recent trip to several Belarus towns, including Vitebsk, home to Movsha Shagal (AKA Marc Chagall). In about two weeks, the complete Film Festival schedule will be online. Frequent conference-goers know we all need breaks from lectures. A Tallit–making class will cover the history of the Jewish prayer shawl, the Hebrew prayer for the atarah (or collar), the aleph bet chart with various Hebrew fonts, images to stitch to decorate the tallit, how to tie tzitzit (corner fringes), and sha’a’tnez. (prohibition of using two different fibres in the same textile). “How to Create a Genealogical Quilt” using ancestral photographs as the artwork. “Pomegranate Jewish Papercut” session to learn the art of Jewish paper cutting, using scissors. References to Jewish paper cutting date from 14th century and it became an important folk art among both Ashkenazim and Sephardim in the 17th-18th centuries. Each participant will have a papercut that they can display at home. There’s a $10 kit fee for the project materials. Holocaust, Sephardim, maps, roots travel, writing, films and filmmakers, along with arts and crafts! No matter your specific interests, there will be something – and lots of somethings – for you. Tracing the Tribe looks forward to greeting you in Los Angeles. On April 12, Yom HaShoah – Shoah (Holocaust) Remembrance Day – commemorates Jewish communities that vanished all over Europe. It also marks the results of pogroms following the creation of Israel in Arab countries. The Israel Genealogical Society has a database of nearly 2,000 memorials and monuments for such communities. They are in cemeteries and towns, synagogues, forests and also live in street names. — Select the “country” list to see all lands where Sephardim used to live. According to IGS, the project is dedicated to an Algerian Jew who perished in Auschwitz. — Search by town name, region name, or country; near town, country, or location of the monument in Israel. — Places may be listed with different spellings depending on pronunciation in native language or in Yiddish. — Search by “is exactly,” “starts with” (three-letter minimum), “contains”(three-letter minimum). — Search by Hebrew name of the community. — If you can’t find a memorial in Israel that you know is there, search by country (today) name of that location. Readers aware of memorials in Israel not found in the database are invited to send in photos and documentation so locations may be added. The next meeting of the Israel Genealogical Society (IGS/JFRA) branch in Ra’anana will feature a screening of the “Shanghai Ghetto” documentary, which demonstrates the life of Jewish refugees who spent the war years in that city. The screening is the branch’s program for Holocaust Remembrance Evening on Wednesday, April 14, at 7.30pm. The meeting is at Beit Fisher, 5 Klausner St. (near Ahuza). Following the film, there will be a discussion and Q&A with Harold Janklowicz, who was in Shanghai from the age of 8, with his mother. They sailed from Berlin to the relative safety of China. Although they were away from the horrors of Europe, the Shanghai Ghetto offered other hardships including primitive living conditions, food shortages, malnutrition, illnesses and bad treatment by Japanese occupying forces. After the war in Europe ended, bombing by American warplanes missed their radio station target and bombed the ghetto instead, killing hundreds of civilians and 40 of the Jewish refugees. Fee: IGS/JFRA members: free; others, NIS 20. The Yizkor Book team at JewishGen has been keeping busy during March. As the Jewish calendar edges towards Yom HaShoah, this project becomes even more relevant to researchers around the world. Readers who wish to financially assist Translation Fund projects should click here. How could any group hold a Jewish genealogy conference in Los Angeles and not focus on Hollywood? JGSLA 2010 will recount the influence of Jewish pioneers who headed west, not for gold, but for better production facilities. These pioneers built and headed the major movie studios, making Hollywood the industry’s center. Hollywood was founded largely by a group of immigrant Ostjuden (Eastern European Jews), who eventually headed nearly all of the major American film studios. In the 1930s, an influx of German/Austrian Jewish film directors arrived in the US, due to the rise of Nazism. Some would play an important role in the rise of a crime genre later called film noir. Have you registered yet for the conference? Reserved your room? Your transportation? For all details, check out JGSLA 2010. Brook will examine the ethnic origins of these filmmakers and what part their backgrounds played in their contributions to American cinema. The Jewish Genealogical Society of Michigan has been invited to the Polish Mission in Orchard Lake on Sunday, April 11, from 1-2.30pm. Ceil Wendt Jensen and Marcin Chumiecki will lead the tour. The event will highlight newly-discovered “yearbooks” with thousands of signatures of Jewish children. Chumiecki and Jensen will present the holdings of the Association of Former Political Prisoners of German and Soviet Concentration Camps. Opened in 1990, the collection holds uniforms, documents [including signatures of Jewish students from Mlawa, Olkusz and other Polish towns, camp art, and memoirs of Displaced Persons who settled in Michigan]. These former Polish citizens were incarcerated in Auschwitz, Dachau, Gross Rosen, Mauthausen, and the Soviet Gulag. The artwork of Jan Komski is featured. Komski’s artwork features both Jewish and Catholic inmates – he depicted both the Star of David and the red triangle with a black P which depicted political prisoners. The first part of the program is in the handicap-accessible Adam Cardinal Maida Library; the second part requires climbing several flights of stairs in the “Ark” Building. Fee: JGSM members, free; others, $5. Register online.